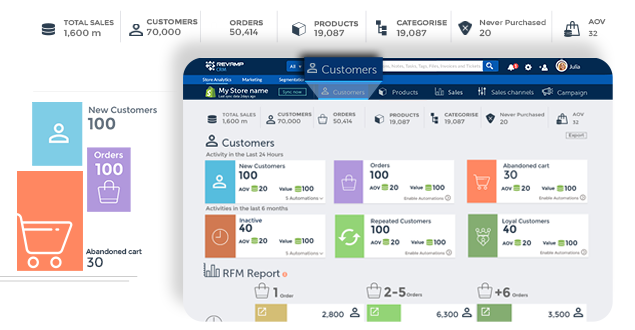 InActive Customers, One Purchase Customers, Repeated Customers. 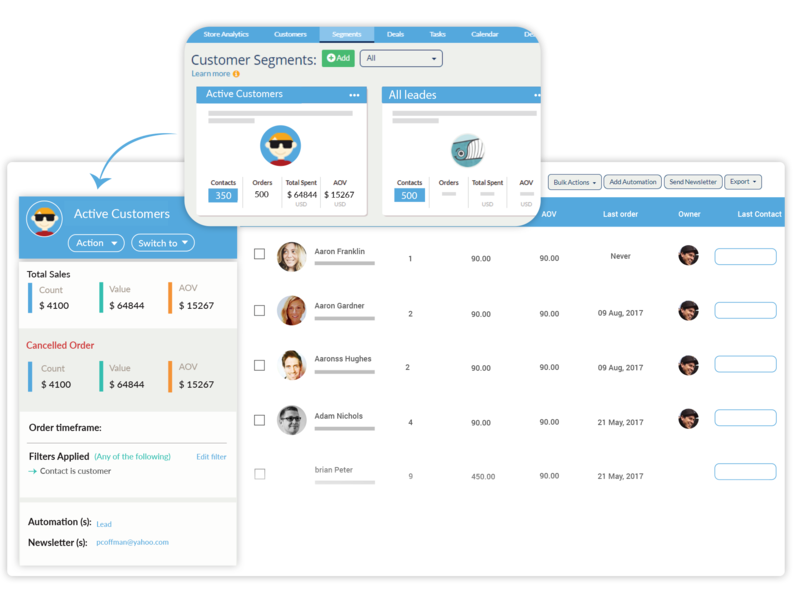 Segment customers based on Recency, Frequency and Monetary. 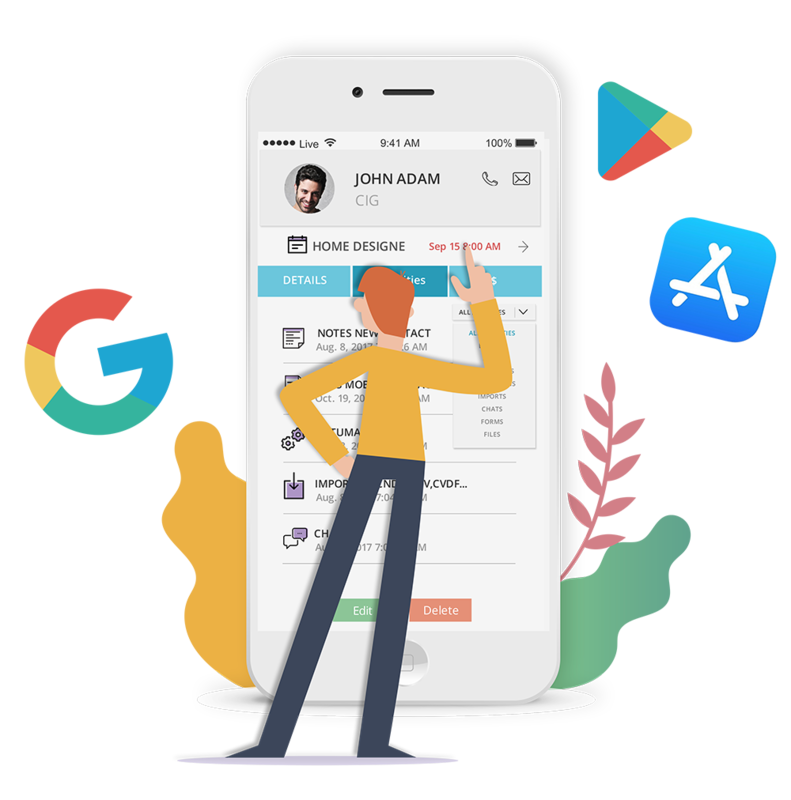 Send Bulk Emails, Export CSV, Bulk assign contacts to team. Send or Schedule Newsletters with our easy to use email builder. Choose a visual template that fits the message you want to get across. 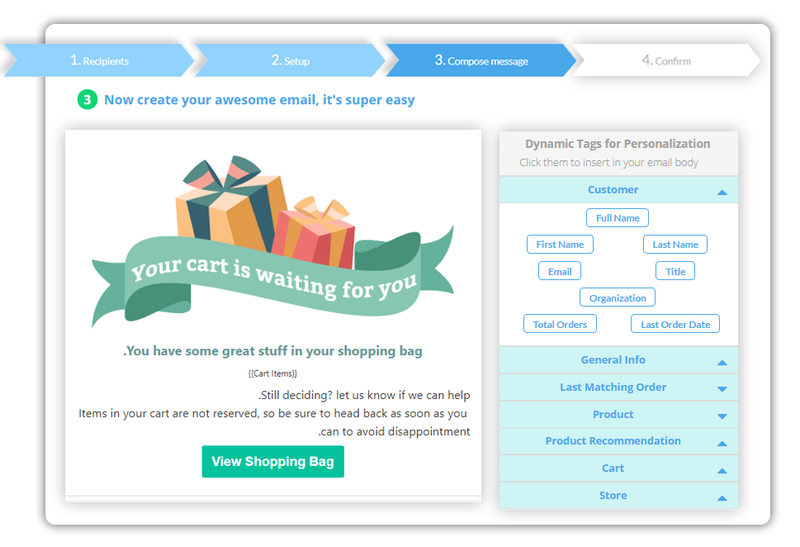 Setup drip email campaigns to nurture your leads. Insightful metrics on open, click, bounced & unsubscribed rate and more. Setup Automation to send a series of emails to welcom new customers. Remind customers about stuff they l eft in their online shopping cart. Announce your upcoming Sales and send email reminders. 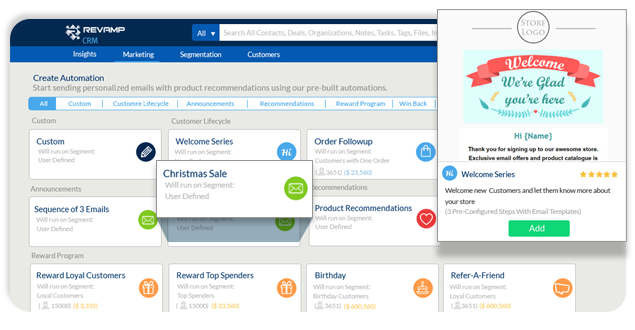 Showcase products to segments of your customers that share specific buyer preferences. 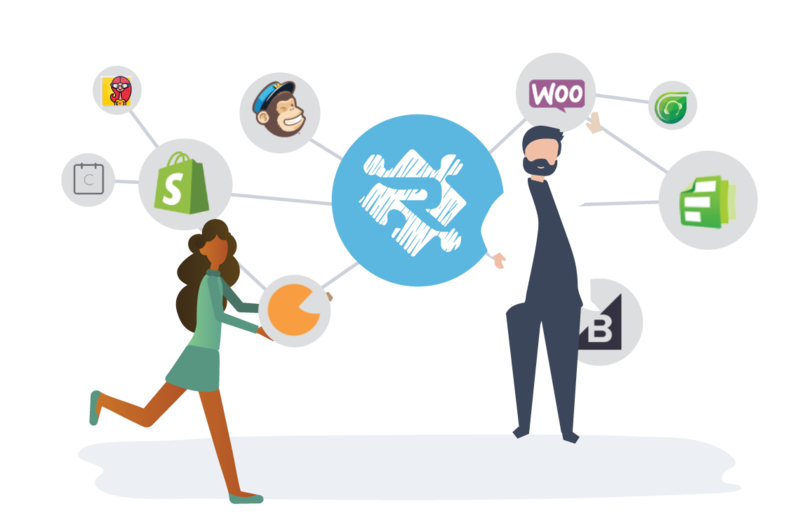 Connect Shopify POS and track your sales by location and user. 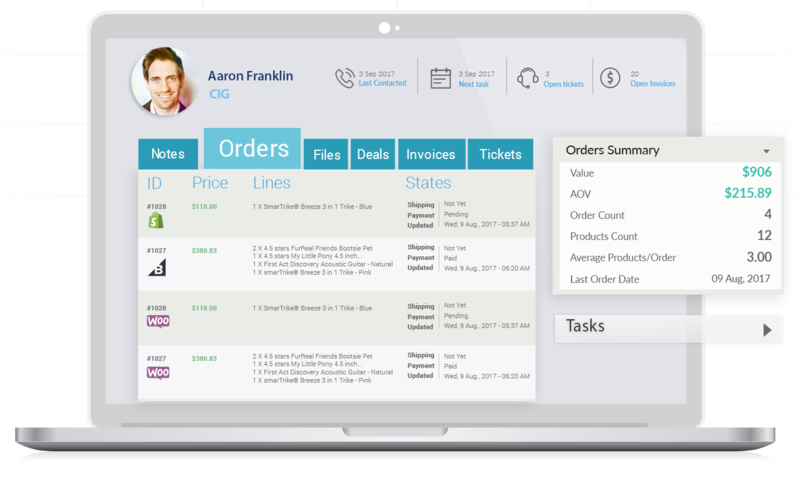 Track your sales, refunds, and carts across all sales channel. (iOS app & Android app). plus a handy lead clipper for Chrome here. Help at every turn. 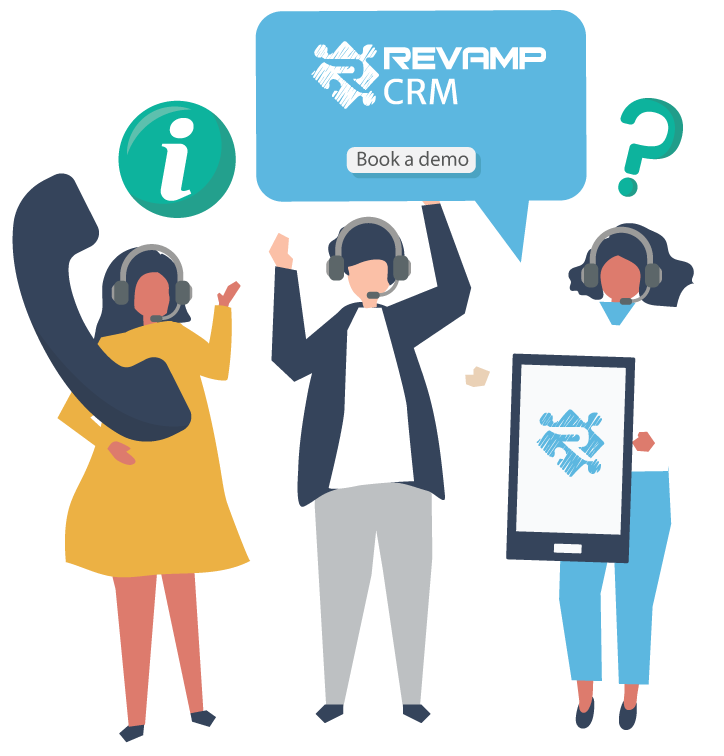 Email us at hello@revampcrm.com, chat, or schedule a demo here. For self-help, you can check our tutorial video here, and a complete knowledge-base here.